The way you introduce yourself is the first impression that you create. 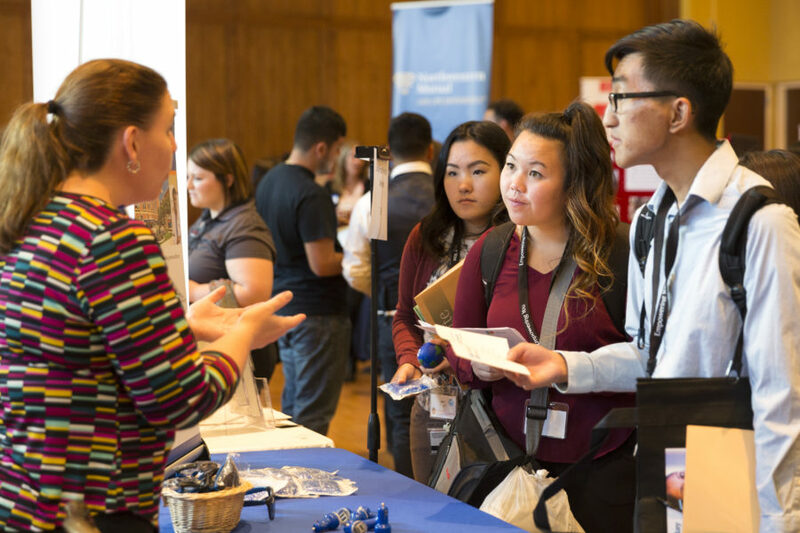 It doesn’t matter whether you’re a college student attending a campus career fair or an experienced candidate visiting a professional job fair. Job fairs are an excellent opportunity for attendees because they get to meet with multiple employers at one event. You can chat with the recruiters of the participating companies, learn about new openings and opportunities, and may even grab the chance of an on-spot interview. For someone who isn’t an outgoing person, job fairs can be challenging. After all, you will be attending an event with lots of folks you don’t know. All you need is a little preparation and practice to create a fleeting first impression. There is no point in winging it and walking into a job fair without being ready to face the company representatives. If you have enough time, then you can consider preparing a business card and fill it up with contact information. Make sure that you’re using current resumes. If not then you must do a quick makeover of the existing ones. If you find out the names of the companies participating in the job fair, then learn about them on the web. You might even find a bit about the people you will be meeting. By knowing about the companies, you’ll be able to take your time to work the room and introduce yourself to your priority list of employers. As already mentioned before, you’ll need to have multiple copies of your up-to-date resume. You might consider using a portfolio bag to hold everything you need. Or you can resort to a large purse, a messenger bag, or a briefcase. Remember to carry a stack of your business cards and over twenty copies of your resume. It will be better for you to prepare a list of questions so that you won’t fumble when you speak to the employers. You should check out the companies over the web before attending the event. It will allow you to get familiar with employers who are participating. You must give particular importance to the mission statement of each company. Elevator pitch is nothing but a quick synopsis of your skillset, experience, and background. You should prepare this elevator pitch in advance so that you can speak it out clearly and in as little time as possible. You can assemble your family members or friends to do a quick practice. You must remember that an elevator pitch doesn’t last longer than twenty to thirty seconds. Being an introvert isn’t an issue at all, but it can be problematic for you at a job fair. There is a solution for it too. If networking is out of your league, then you should bring a friend with you who is sociable. Things will get more comfortable for you if a friend follows. At some trade fairs, you’ll have to sign in at the reception area and put on a name tag. If that is the case, then make sure that you’re using the nametag on the right side. It is customary to shake hands with a recruiter, and everyone uses their right hand. If the tag is on the right side, then it will draw the recruiter’s attention. Amazon’s ‘Pay to Quit’ Policy Gives its Employees $5000 on Quitting Their Amazon Jobs!